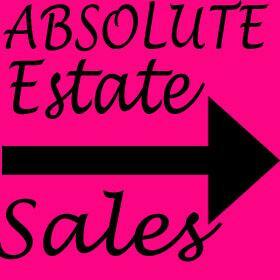 Absolute Estate Sales offers a variety of services tailored to your personal needs. We can provide our professional expertise for relocations/transfers, executors, liquidations, bankruptcy, individual families and many more. Regardless of your situation we are committed to making the transition as easy as possible for you and your family. Our team has over 25 years of experience as professional Estate Sale Managers dealing in antiques, contemporary home furnishings and more. Visit our website www.absoluteestatesales.net for more information. Firearms, Hunting, Fishing, Tools, and MORE! Hallmark Ornaments, 1965 Chevy Malibu Convertible, and FULL HOUSE! Tools, GTO Parts, Guns, Cabin Decor, Instruments & MORE!